Welcome to My Crazy Good Life! I’m so glad you stopped by to say hello. You’ve landed right in the middle of my lifestyle blog, where I write about health and fitness, share my favorite recipes, and also share some pretty amazing margarita recipes. This is a lifestyle blog that also features a little about my family and I–Life is all about balance, and I’m pretty certain that we have nailed it. 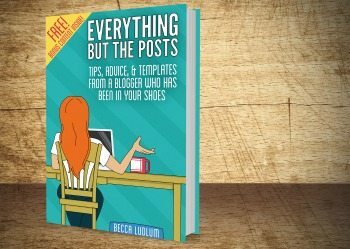 I’ve written a book called Everything But the Posts: Tips, Advice, and Templates from a Blogger Who Has Been in Your Shoes that helps beginning bloggers navigate their way a little easier. I’ve spoken at a few conferences, mentored a large number of bloggers, and you can find all of my blogging tips and tricks over at my other blog. I don’t post there much unless someone has a question, but there are a lot of resources to be found on that site! Raised in upstate New York, I joined the Air Force at 17 and ended up in Shreveport, Louisiana. I met my amazing husband while active duty and though I left the military, he was still active when we were sent to Japan. 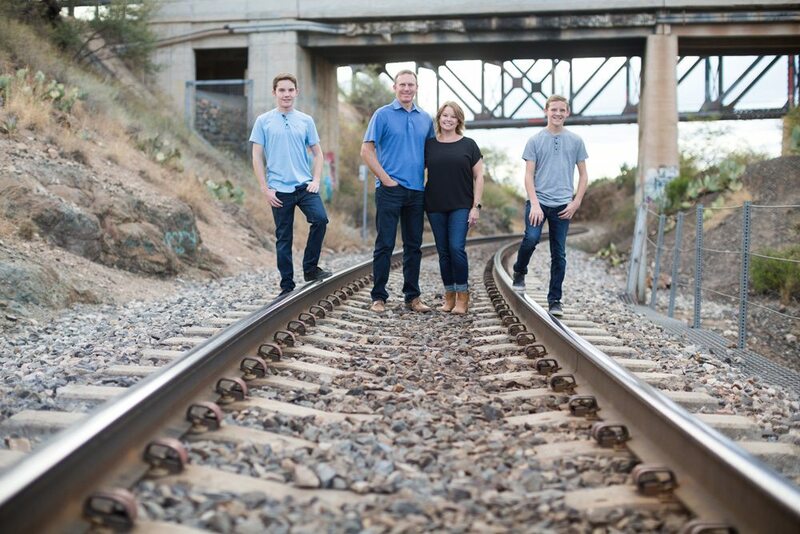 Our first son, Michael, was born there in 2000 and shortly after we came back to the US, deciding on Tucson, Arizona. In 2004 we had our second son, Jack. I graduated from the University of Arizona in 2005 with a degree in Speech and Hearing Sciences and then again in 2008 with my master’s degree in teaching. I immediately started working as a speech therapist in a local middle school and loved it. In 2009 I started a blog called Our Crazy Boys, meant to give our families in New York and California a glimpse into our daily lives. As my site slowly grew, I realized that I didn’t have the time to work as a speech therapist as well as keep up a blog. That’s when my husband persuaded me to take some time off to explore this new career. I left speech therapy in 2012 and rebranded my parenting humor blog to a lifestyle blog in 2013, allowing me to write about a little of everything. I also started accepting social media management clients, which has become a huge part of my business today. The title of my blog is a great representation of my life right now. Crazy good. That’s the professional description. The real life version is when I’m not sitting at my desk blogging I’m usually testing recipes in my kitchen (which sometimes sounds like Thug Kitchen if we’re being honest–I’ll admit to swearing a little). Often, I have my phone in my hand because managing my social media clients has become a way of life for me and you know the drill–the internet never turns off. Every few months, you’ll find me sitting on the beach in Mexico (it’s only 5 hours away!) with my family and our family friends. It’s a great reminder of why we were put on this earth to begin with, right? Work hard, play hard. 2017 was the year I turned 40–and I learned a lot over the course of my first 40 years. Treat your body well, be a good role model because we all learn from others, and do what you love–do the things. Do those things that you wouldn’t normally do because you’re too old or don’t have the time for. Get in the go kart and race your kids, even if you know you’ll come in last. Go be the oldest person at hip hop concerts (kidding, I’ve yet to be the oldest person). Make that last minute decision without thinking too much. Spend 48 hours in Vegas and catch 3 of your favorite artists. Then when one has to cancel, spend 24 hours in Vegas and do it all again a month later. Do the things, friends. That’s what life is for. Thanks for stopping by! I love connecting with my readers, so leave a comment or connect with me on one of the social media networks to the right–I’d love to “meet” you!